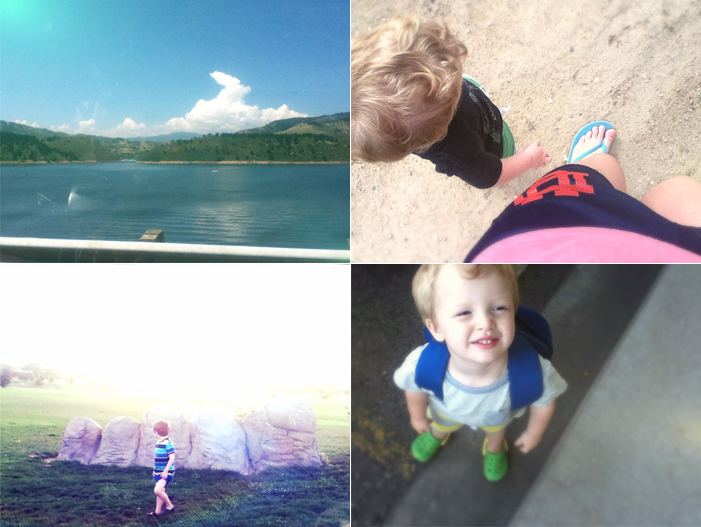 by gillian claire: life right now / july update. wow, i can't believe that we are already halfway through august! sheesh. 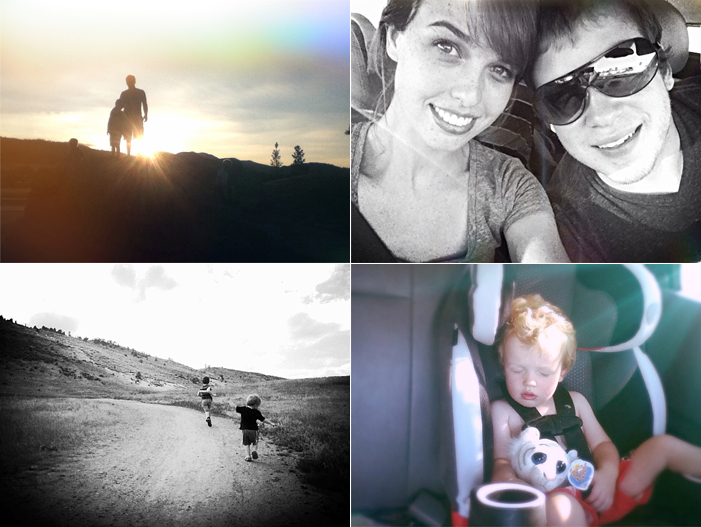 just a little recap on life right now for us since my last little update of our roadtrip here! we found a condo super quickly and were miraculously able to move in right away since the property was vacant and the previous owner let us rent from her until the closing. so basically, we left ohio on the 4th of july and we were in our new home on july 15th! i actually really did not expect, obviously, to find something so fast. the plan was to stay with my grandparents while we looked for a place which i figured would at least take a month. however, we were very thankful and relieved to find a place of our own so quickly and start settling down! here are some photos to share a little bit of what happened around here to finish up our crazy-fun-getting rid of most of our belongings-moving across the country-and finding a new home july! 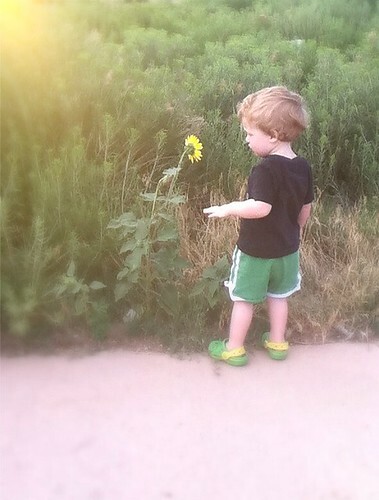 i adore this photo of asher. i'm also loving all the sunflowers around here. little ash on his birthday morning. what a darling little sunshine he is // coffee everyday in my "new" thrifted mug // clothes drying from the splash park ( also at the park near our house! ) 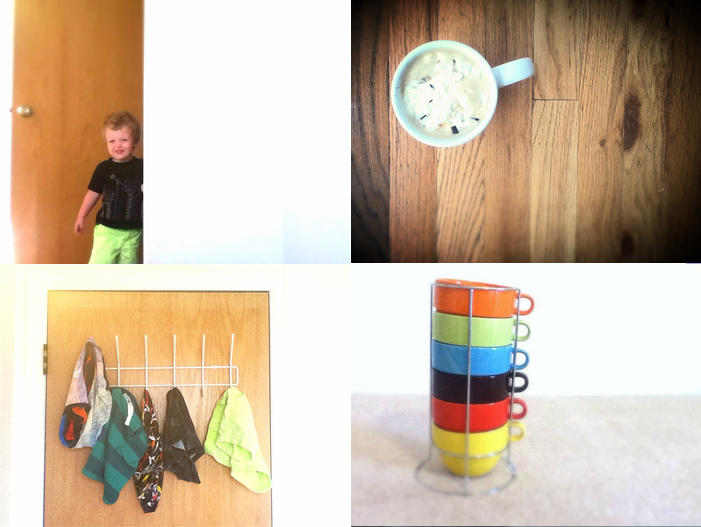 // new wonderful colorful pottery barn mugs - FREE from craigslist! and while i'm on the topic of criagslist... let me just profess my love. have you checked out the free section? it is amazing! we used to check the free section on craigslist in our old town but there was hardly anything ever posted. here however, the free section is crazy full of all kinds of things! who knew so many people were getting rid of so much stuff and are willing to give it away to anyone who might be able to use it? we pretty much outfitted our kitchen as you can see. we also got a really nice, perfectly clean toaster oven. a printer. a bike. and... a mattress and boxspring! i am seriously totally into thrifting and buying second hand but have claimed that i would never get a second hand mattress or couch. however, i now own both. and it feels great. we bought a really fantastic brand new looking microfiber loveseat from a thrift store and we got a twin mattress/boxspring from craigslist. the thing is with mattresses is that you of course have to be careful and very picky. the mattress we got came from a very clean house and the man we met was super nice! it is seriously such a thrill for aaron and i to find creative ways to find things for our life + home. it is such a good feeling to put things to good use while also saving landfills and not adding to consumerism. also, we found our condo on craigslist! so, i'm just saying - it's awesome. 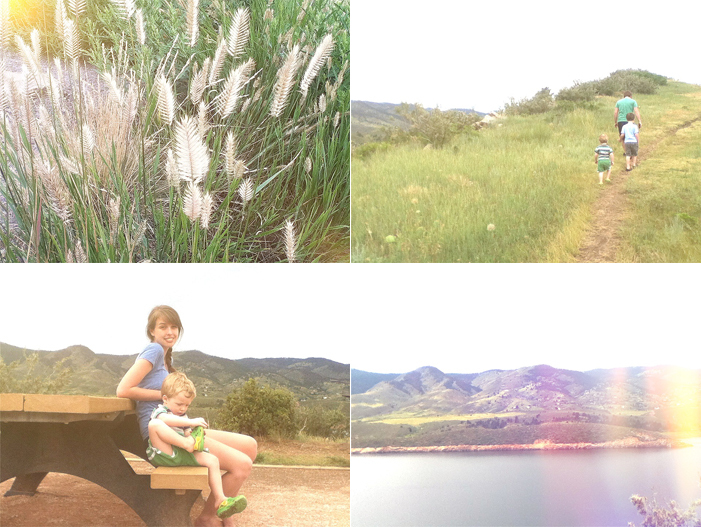 more hiking at the foothills! also, thanks for your votes on top baby blogs! happy wednesday! I need to check free craigslist!! so much pretty here, darling. i just adore that black&white photograph of you & aaron -- so very sweet. <3 congratulations on your new place. I'm so happy for you guys and your success in finding all sorts of new treasures for your home!